You can display sprites (an image sequence) on ICE particles. Just set up a render tree on the point cloud that uses an image sequence, and then use an ICE attribute to drive the Time Source of the image sequence. In the ICE Tree for the point cloud, you can set up an attribute that will be used as the Time Source for the image sequence. 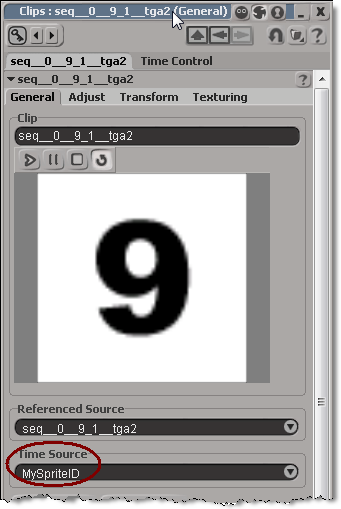 For example, suppose you wanted to randomly display a sprite from a sequence. In the ICE Tree, you could put a random number in an attribute for each particle. This entry was posted in ICE, Rendering by xsisupport. Bookmark the permalink. Yes, I can repro the problem. I don’t see a workaround other than switching to instances. I have a setup by monitoring facial load the textures in a sequence. I use the Time In and Out attributes of the Clip, the script controlled by operators, but this is very slow. Could you help me?, Thank you very much. How could control the frames in a sequence, using a custom parameter, but not in particles. I am currently doing scripting and operator in time In time out of the clip. Ice My level is pretty low.